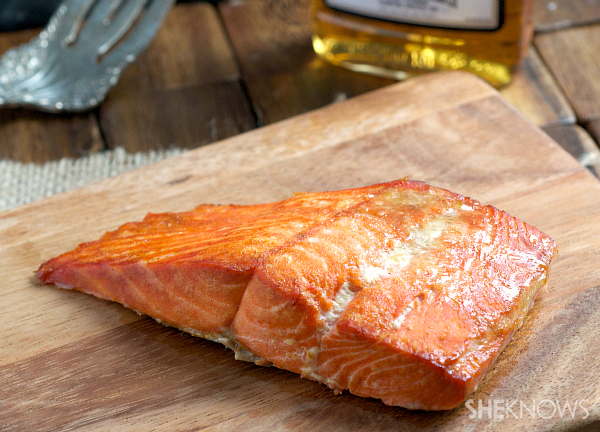 Not only is cooking salmon a quick and easy way to get dinner on the table, but it’s also one of the healthiest fish to consume when you buy wild. 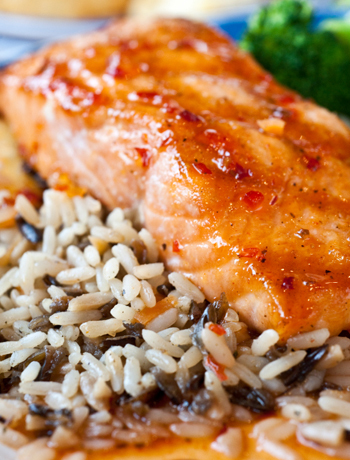 A high-quality, protein-packed meal is what dining on salmon will bring. 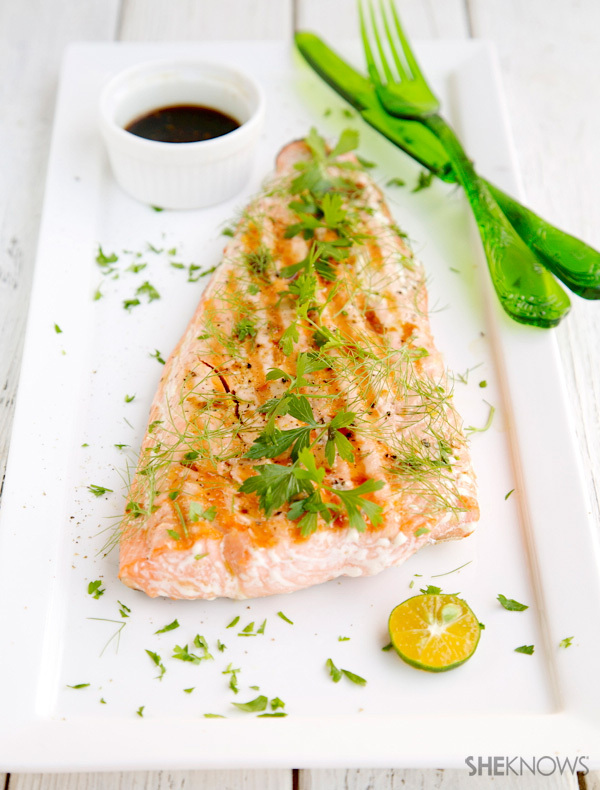 Omega-3 fatty acids, essential amino acids and a great variety of good-for-you vitamins make salmon a healthy choice for dinner. 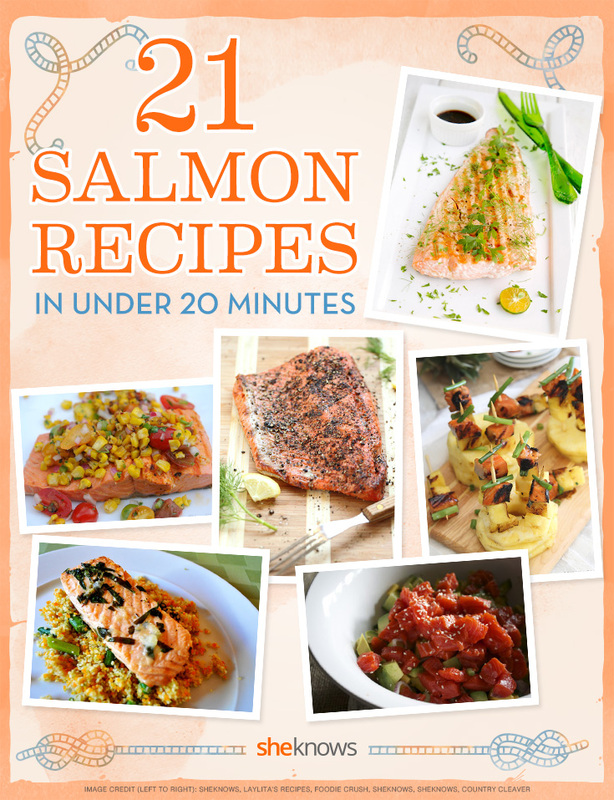 We’ve put together our favorite salmon recipes, which all take less than 20 minutes to make and serve — great for weeknight meals for the family. 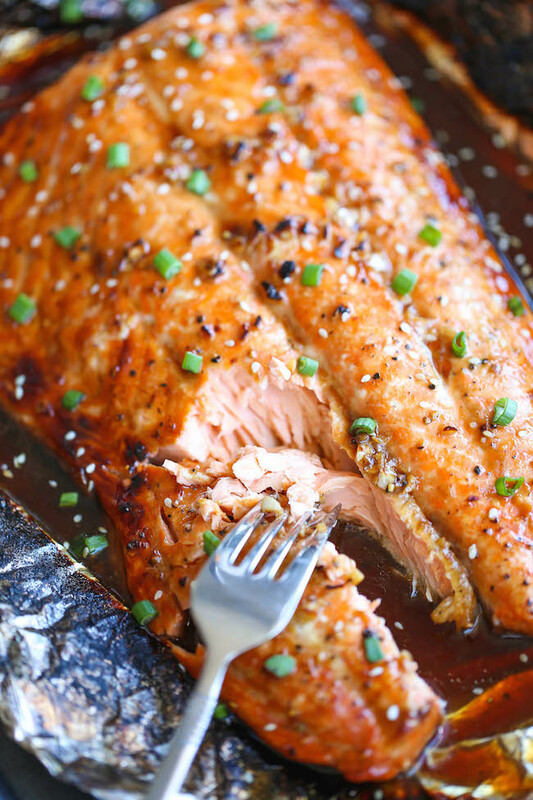 Asian salmon in foil is a genius idea — makes cleanup a breeze and nothing sticks. We’re loving the Asian flavors in this recipe and the sauce that it makes. 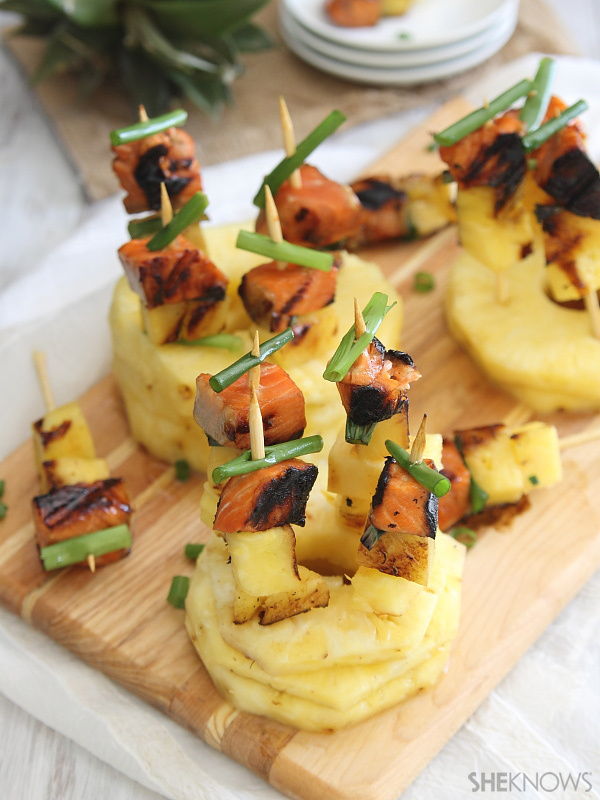 We’re thinking these honey soy-glazed salmon and pineapple pops would be amazing for a spring cocktail party — bright and delicious. Oh, how we love brown butter. 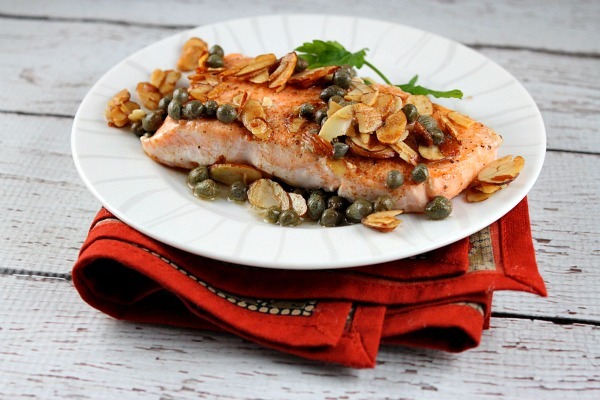 This recipe for salmon with brown butter, almonds and capers is all of our tasty dreams come true. 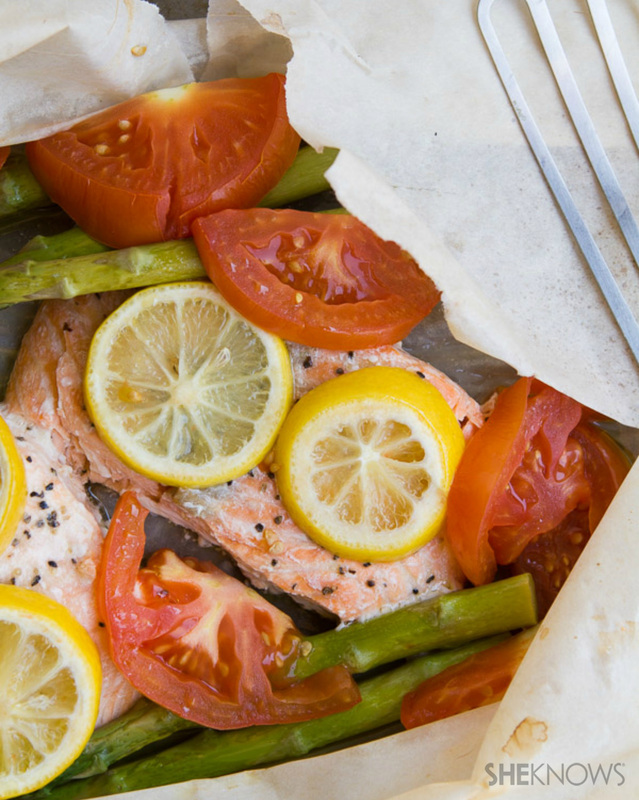 This salmon and vegetables en papillote gives you a complete dinner in minutes — all wrapped up in one convenient little package. 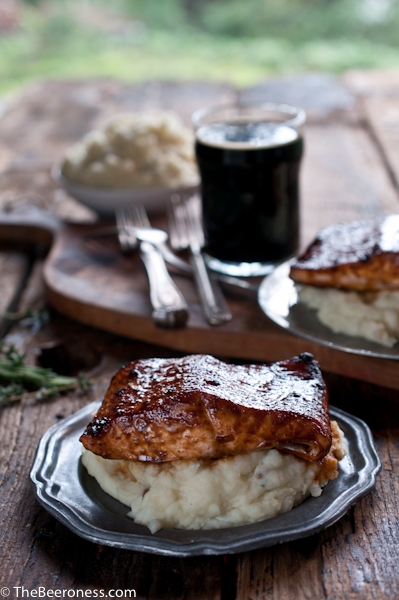 You can basically make this recipe for molasses stout-glazed salmon with your favorite beer — but the sweeter you go, the richer your glaze will be. Soy and ginger are a classic and delicious pairing. 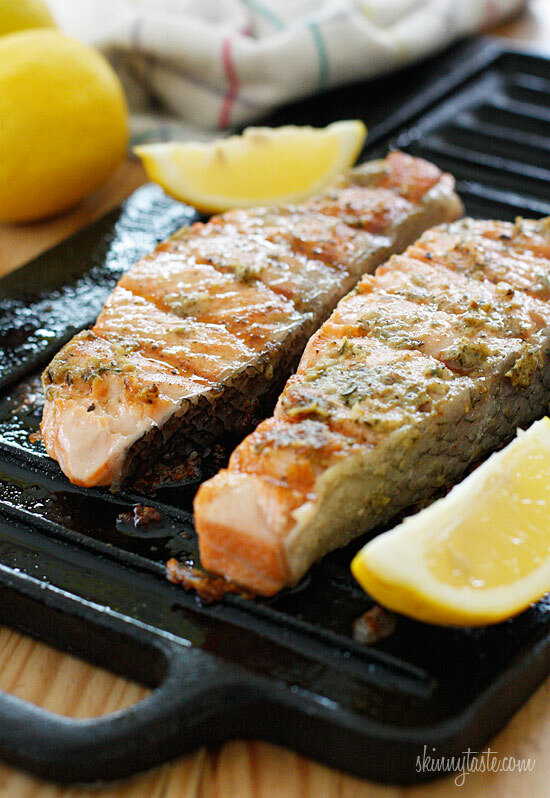 This griddle-cooked salmon with soy-ginger sauce showcases them perfectly. 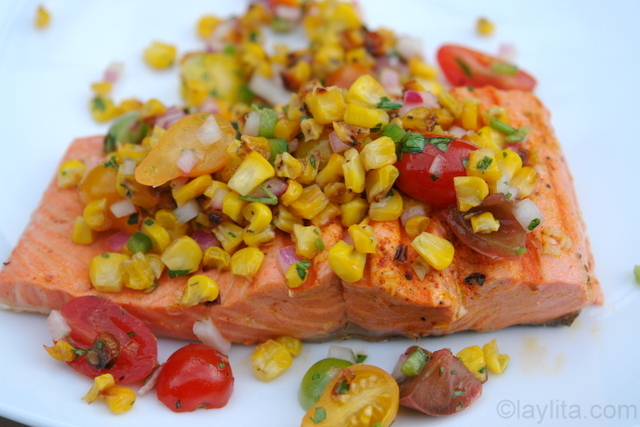 We can’t wait for summer corn to harvest so we can make this delicious salmon with corn salsa recipe. Cooking salmon on planks — like in this brown butter and bourbon salmon — is the perfect way to infuse a woodsy and scrumptious flavor. It’s grilling season! 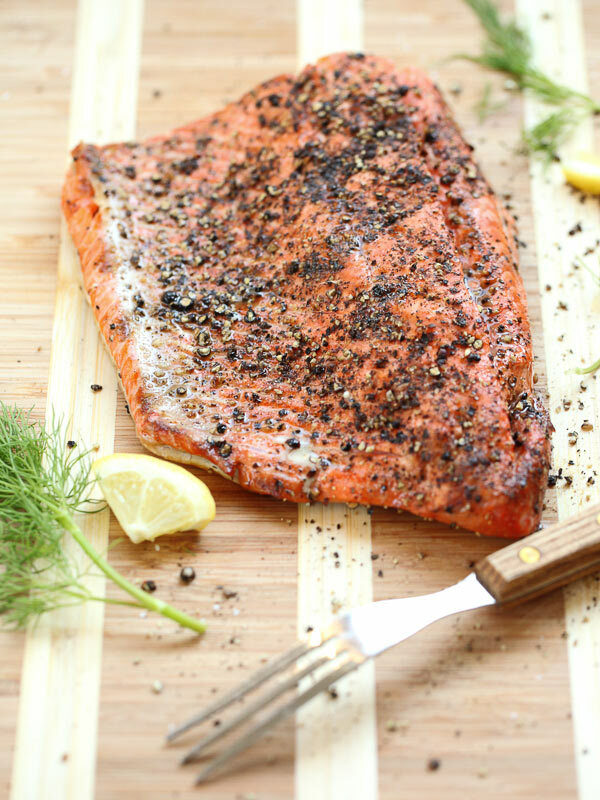 Get ready by making this grilled garlic dijon herb salmon — whether indoors or on the grill outdoors. Need new ways to use up that box of matzo crackers? 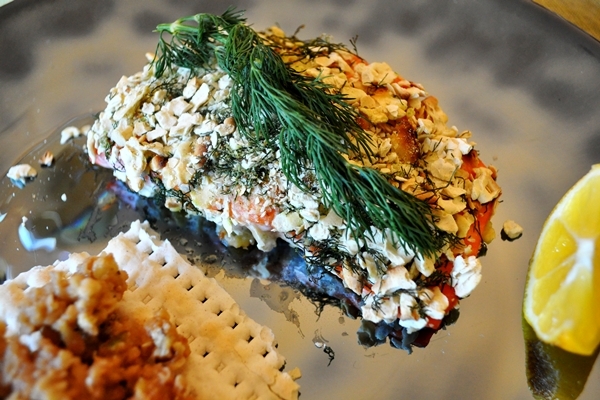 How about making this recipe for matzo-crusted salmon? 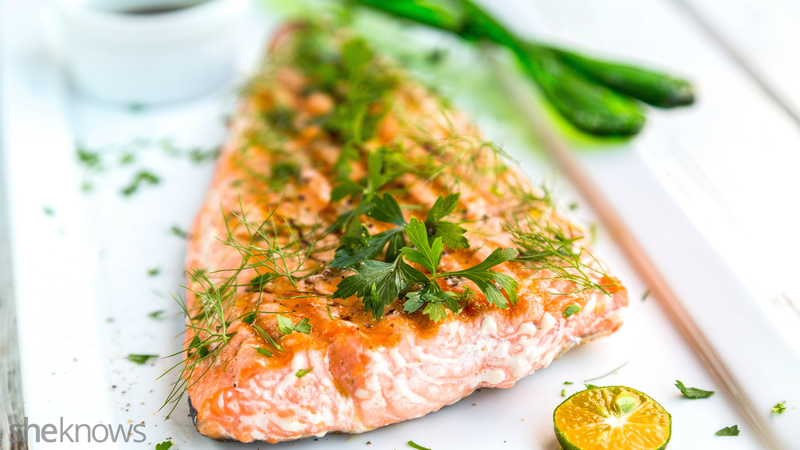 Grill your salmon and make this grilled salmon filet with dill-cucumber sauce. 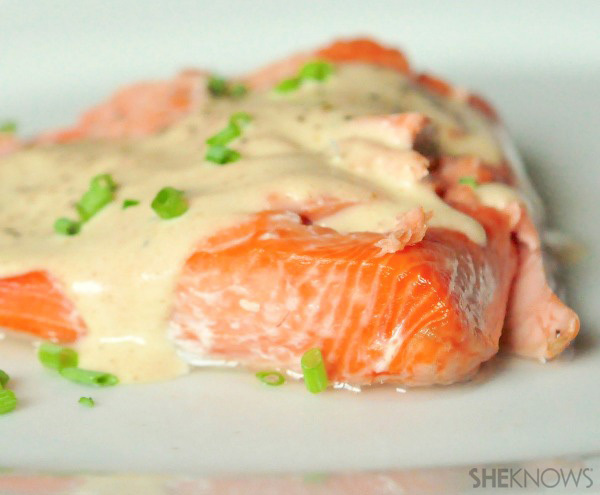 The cucumber sauce is a refreshing sauce to dollop on the salmon. 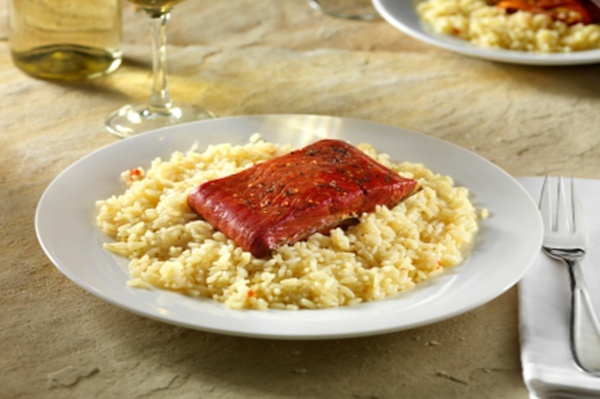 Definitely pick up a couple of planks before the summer starts — you’ll want to make this quick recipe for planked salmon with coconut rice every week. 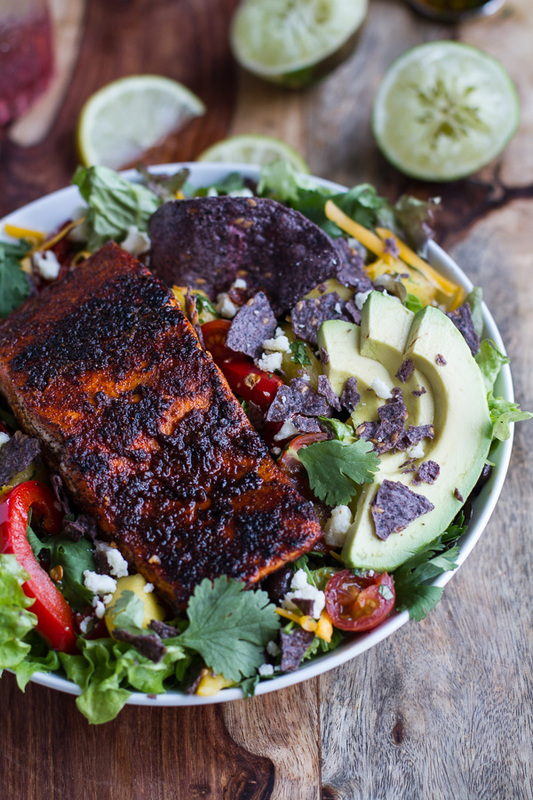 Feel inspired by Mexico and make this gorgeous and colorful chile-lime salmon fajita salad. 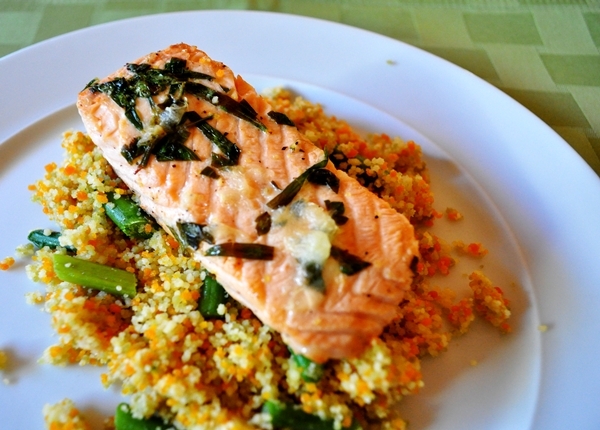 Grab your favorite herbs and whip up this herbed salmon tonight. 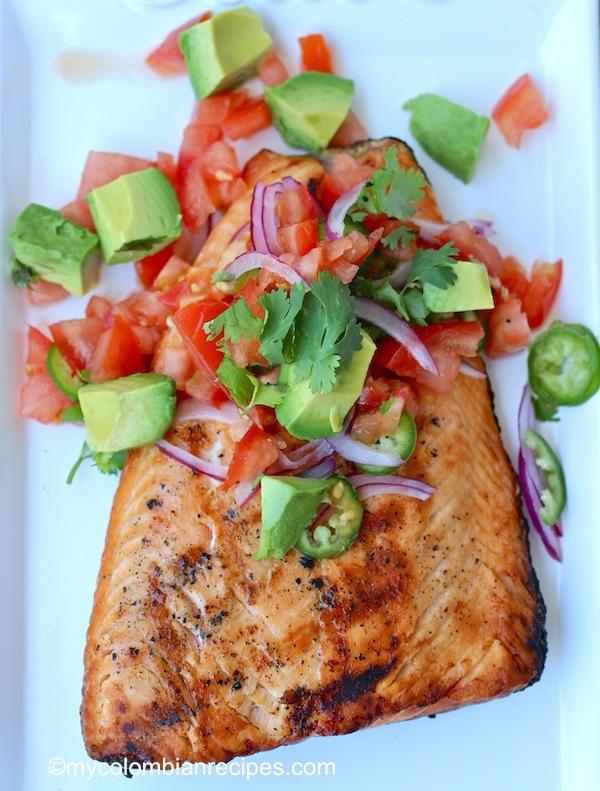 Once the gorgeous tomatoes of the summer season are ready, this grilled salmon with fresh tomato and avocado salsa is a must-have for dinner. Got some leftover salmon? 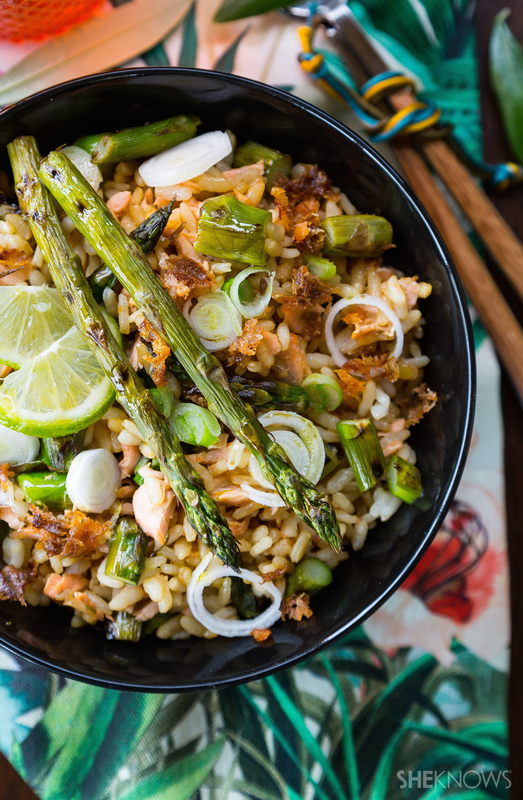 Make this salmon and asparagus fried rice for a quick meal. 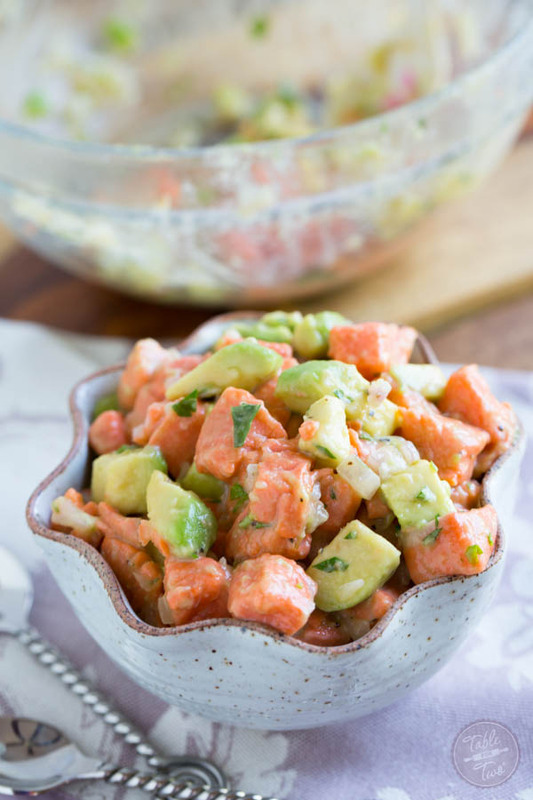 Get some fresh salmon and make salmon ceviche as a party appetizer. Another brown butter favorite — try this baked salmon with a brown butter sauce. 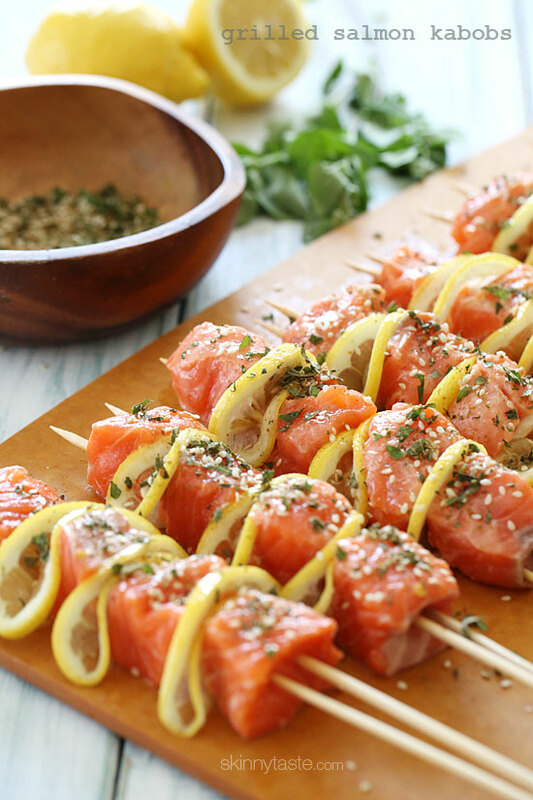 Turn on the grill and make these quick and easy grilled salmon kebabs. 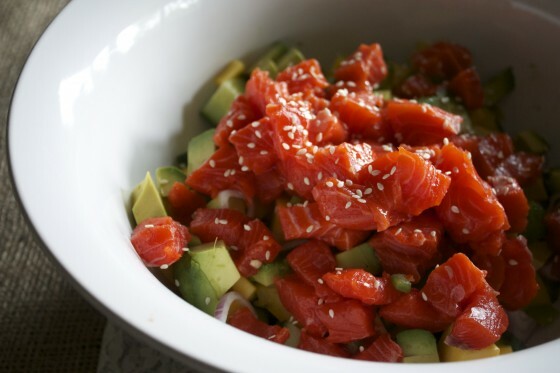 The wildest, freshest salmon is best for this salmon avocado ceviche recipe. Whip up some delicious bourbon glaze and this bourbon-glazed salmon is minutes away from your dinner table.